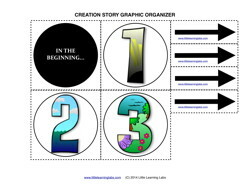 Practice arranging the days of creation in proper order with this graphic organizer set. You can either use the numbered, illustrated set or you can make your own with blank drawing rectangles. These basic operations cards can be used to teacher addition, subtraction, or counting. There are enough pieces to do several problems at once, and you can make the problems having blanks that students have to fill in. Numbers go from 1 to 10 Jewish Symbols. Print more for more options. 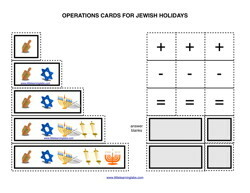 This set is done with a fun Jewish Theme for holidays like Hanukkah, Passover, Yom Kippur or Rosh Hashanah.